Academy Fight Song & Dine Alone Records have announced their day party. 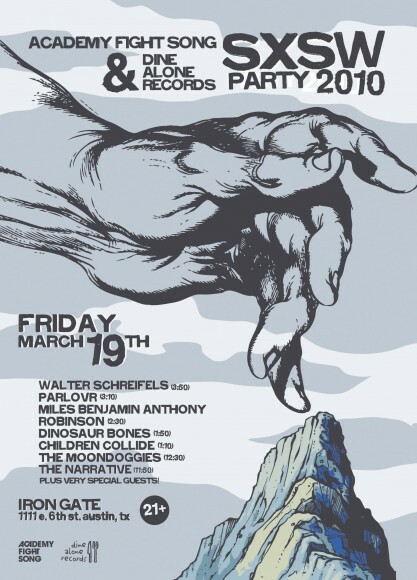 The party is free with RSVP and takes place on Friday March 19th. Miles Benjamin Anthony Robinson – 2:30 p.m.
Dinosaur Bones – 1:50 p.m.
Children Collide – 1:10 p.m. The Moondoggies – 12:30 p.m. The Narrative – 11:50 a.m.